Vision for the future of ever more immersive simulation modalities and technology – virtual reality (VR), augmented reality (AR), 3D printing, computer based simulation, gaming, mobile-based simulation, and more. Podium presentation, demonstrations, breakout sessions, and simwars will be used for participatory engagement and immersive experiences. The symposium coincides with the Society for Simulation in Healthcare’s (SSH) 2nd annual world-wide celebration of simulation week. The sweetest celebration is bringing us together, enjoying the company of our peers, simulation industries, friends, and special networking opportunities. Integrate the right simulation-based education modalities in advancing patient safety and knowledgeable care. Use interprofessional simulation-based education in improving systems performance and outcomes. Demonstrate an understanding of simulation in healthcare. Accreditation: The Icahn School of Medicine at Mount Sinai is accredited by the Accreditation Council for Continuing Medical Education to provide continuing medical education for physicians. CEU’s are available to RNs and Allied Healthcare Professionals provided by Mount Sinai Phillips School of Nursing; This continuing nursing education activity was approved by the Alabama State Nurses Association an accredited approver by the American Nurses Credentialing Center’s Commission on Accreditation. 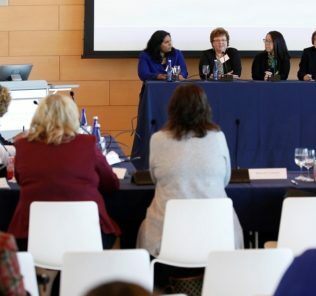 The Helene Fuld Health Trust Simulation Center at Columbia University School of Nursing is a two-story 16,000-square-foot state-of-the-art facility that enhances nursing education by simulating clinical practice using sophisticated technologies in a safe learning environment. It is one of the largest simulation centers dedicated to nursing simulation in New York State. The simulation center is designed to promote patient safety and prepare students for real-world practice in an ever changing, complex healthcare system. It features authentically appointed patient examination rooms, two inpatient hospital rooms, a labor and delivery suite, and an operating room. Every room has been furnished with the equipment one would find in a clinical setting––blood pressure cuffs, thermometers, otoscopes, ophthalmoscopes, oxygen supplies, nitrile gloves, and monitors––for assessing and tracking patients’ health status. All have a sink for hand-washing, and a laptop computer for maintaining electronic medical records (EMRs). And each room has the latest audiovisual technology for recording students in action, providing a source of instructor feedback. The simulation center features an array of task trainers and manikins––from low fidelity to high fidelity. A technician operates the computer that makes the high-fidelity manikins breathe, gasp for air, speak, blink, and respond to medication. Standardized Patients, trained actors that play the role of patient, are also used to enhance learning. Columbia University School of Nursing is seeking a Simulation Instructor to provide assistance in the development and implementation of simulation-based activities in our new state-of-the-art Simulation Center. Reporting to the Executive Director of the Simulation Center, the incumbent will be responsible for working with faculty, students, staff, and external stakeholders to ensure that the highest quality simulation learning activities are efficiently implemented across all nursing programs. 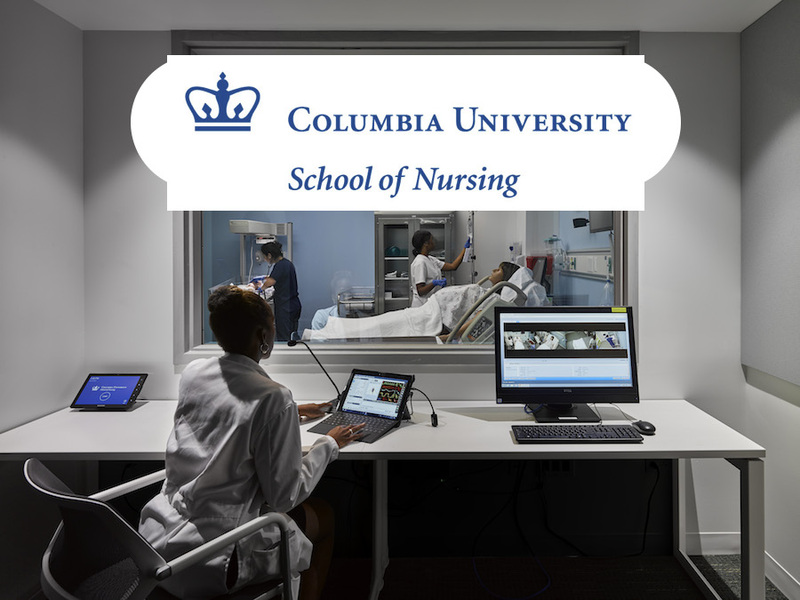 Columbia University School of Nursing is also seeking a Simulation Educator to provide clinical, educational and technical expertise in the development, implementation and evaluation of simulation-based activities in the Simulation Center for our new state-of-the-art building. The Simulation Educator will be responsible for working with faculty, students, staff, and external stakeholders to ensure the highest quality simulation learning activities are efficiently integrated and implemented across the undergraduate and graduate programs. The incumbent will receive a faculty appointment commensurate with credentials and qualifications. Finally, check out this recent MarketWatch Video which features Kellie connecting the dots between patient safety, medical errors, and healthcare simulation. At least 250,000 deaths happen in hospitals every year due to medical errors. Here’s how advocates for simulation training are ambitiously trying to change that. Learn more on the Columbia University School of Nursing Simulation Center Website Today!